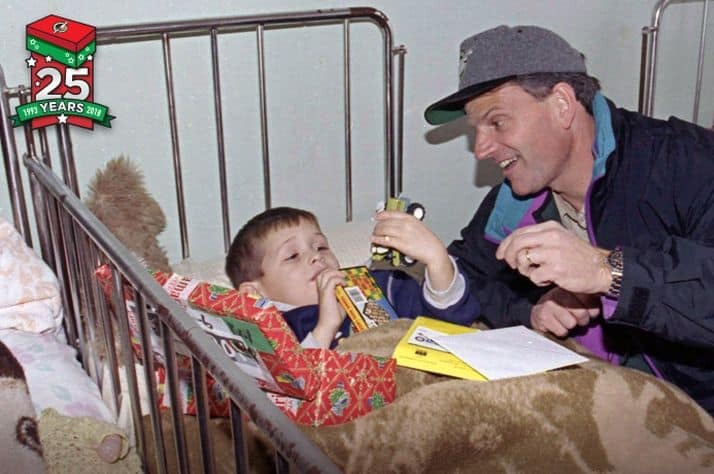 Franklin Graham delivered Operation Christmas Child shoebox gifts to children in Bosnia in 1995. 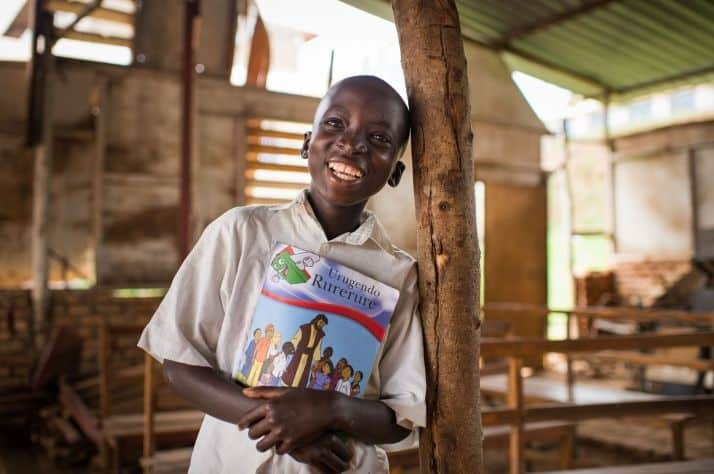 Millions of shoebox recipients across the world have heard the Gospel and experienced God's love since Operation Christmas Child started in 1993. 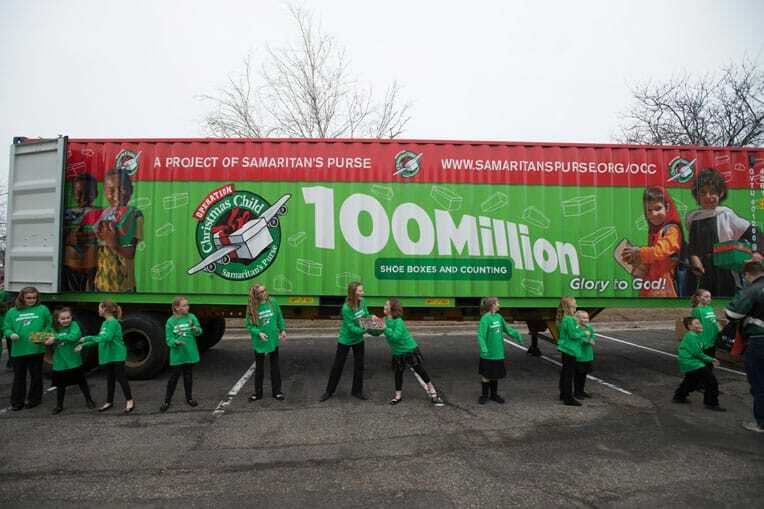 Operation Christmas Child, a project of Samaritan's Purse, has delivered 157 million shoeboxes to boys and girls around the world. 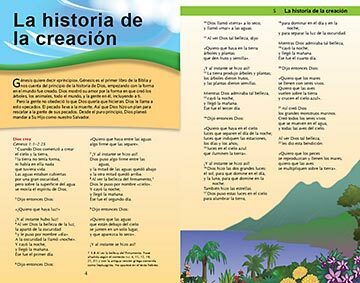 We praise God for so many children whose lives have been transformed because of a simple gift. Since 1993, Samaritan’s Purse has partnered with local churches around the world to deliver 157 million Operation Christmas Child shoebox gifts to children in need in 160 countries. Each one—packed full of fun toys, school supplies, and hygiene items by a family or individual—is sent with prayer that the child who receives it will experience God’s love through their simple gifts. 1994 - Mary Damron collected 1,258 shoeboxes from neighbors in her West Virginia coal-mining community. 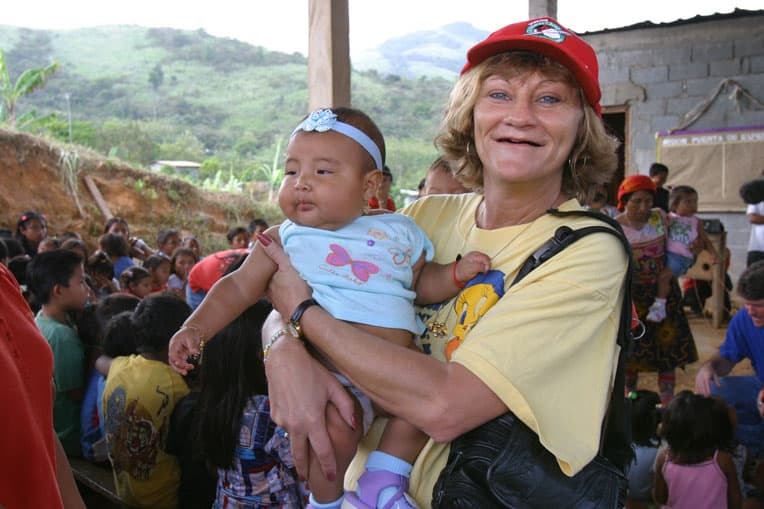 Known as “The Shoebox Lady,” she's become a spokesperson for the project. 1994 - Pastor Skip Heitzig from Calvary in Albuquerque, New Mexico, and his wife Lenya led the team that brought shoebox gifts to children orphaned by the Rwandan genocide. 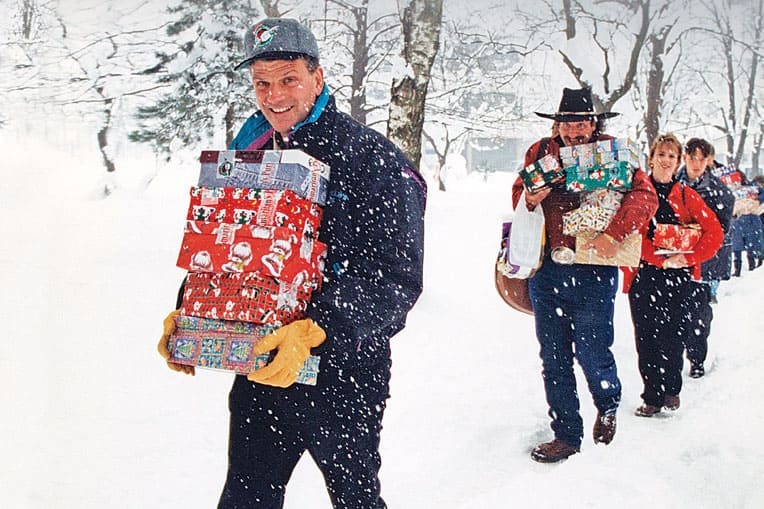 1995 - Franklin Graham, Dennis Agajanian, and others delivered shoebox gifts in Bosnia. 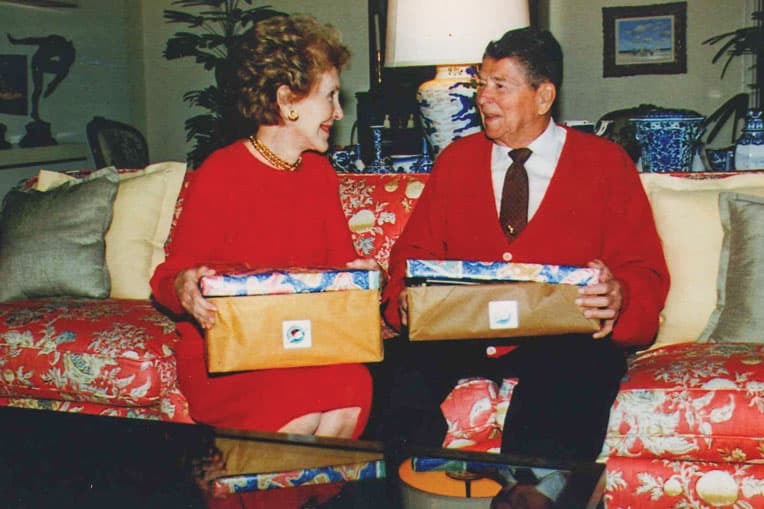 1999 - Former U.S. President Ronald Reagan and his wife Nancy packed shoeboxes for refugees from Kosovo. We distributed 365,096 shoeboxes, reaching nearly 90 percent of Kosovo’s children. 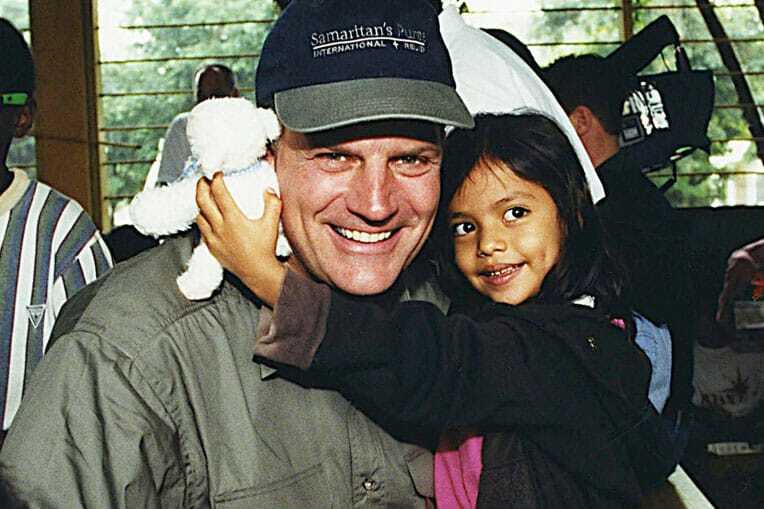 1999 - At a shoebox distribution in a Honduran orphanage, Franklin Graham sang “Jesus Loves Me” to Juni, who received a toy lamb that played that tune. 2001 - In the months after 9/11, firefighters and school children in New York City helped collect thousands of shoebox gifts for boys and girls in Afghanistan. 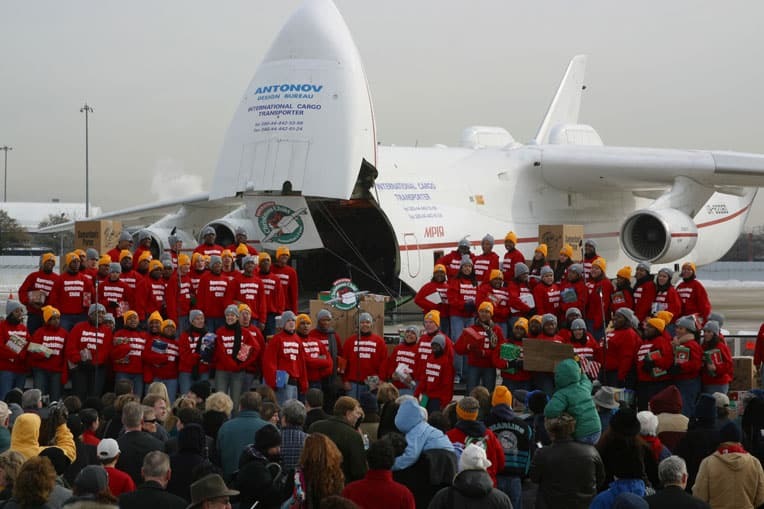 2002 - Samaritan’s Purse chartered an Antonov AN-225, known as the world’s largest cargo jet, to transport 80,000 shoebox gifts for Ugandan children, many of them orphaned by AIDS. 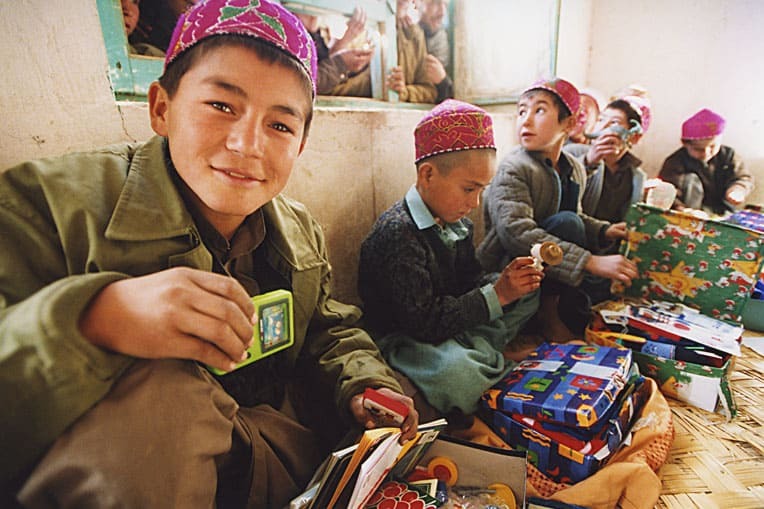 2002 - We distributed nearly 120,000 shoebox gifts to children in Central Asia. 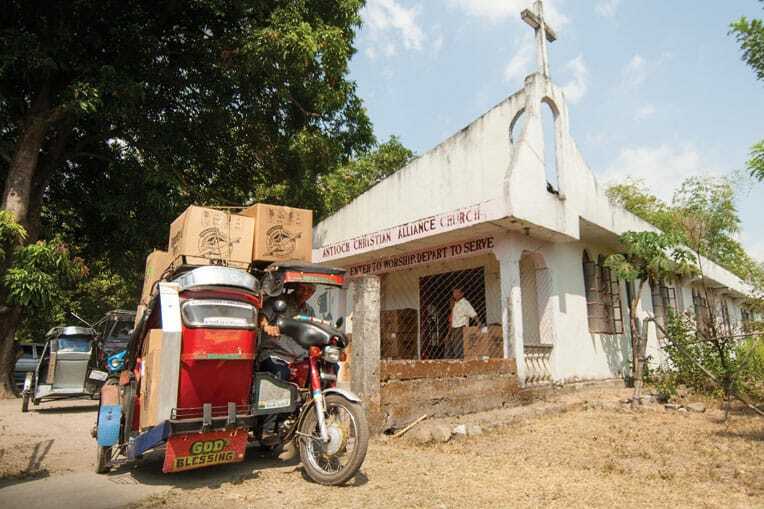 2005 - A special Easter collection provided 270,000 boys and girls in Asia with shoebox gifts after an earthquake in the Indian Ocean caused a series of devastating tsunamis. 2006 - Through the generosity of many churches, families, and individuals, this was the first year we sent Operation Christmas Child shoeboxes to over 100 countries. 2008 - Motorized tricycles like this are common in the Philippines. This one is bearing gifts for more than 100 children. 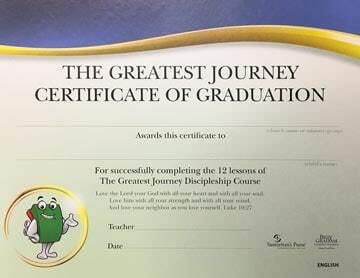 2009 We launched The Greatest Journey, our discipleship program for shoebox recipients. 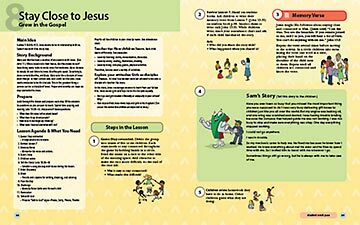 Through this Bible study, millions of children have learned how to follow Christ and share Him with others. 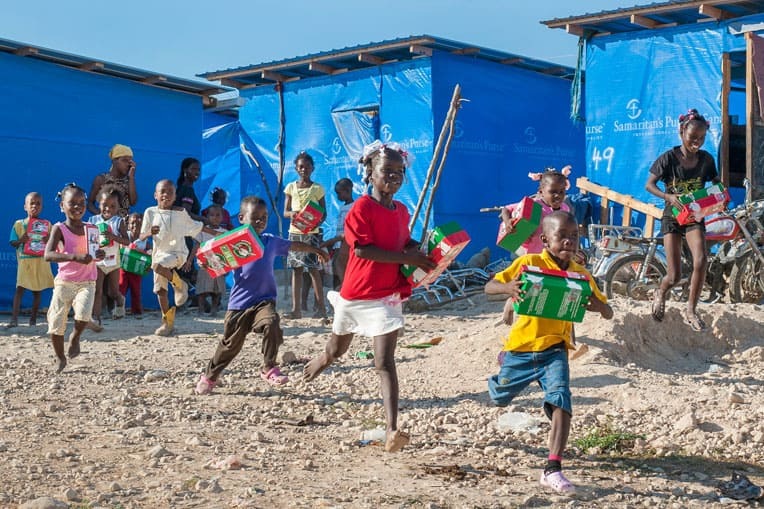 2010 - After the worst earthquake in the Western Hemisphere struck Haiti, we distributed nearly 250,000 shoebox gifts to children there, many living in temporary housing built by Samaritan’s Purse. 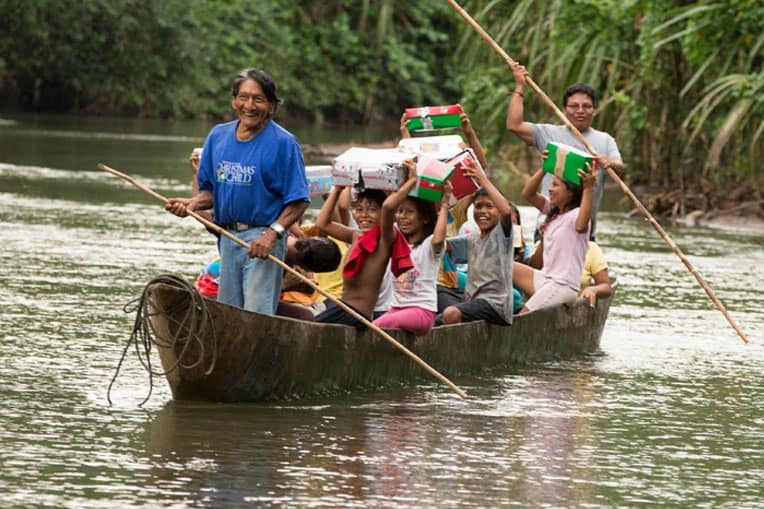 2012 - Mincaye, who had killed missionary Nate Saint in 1956, helped deliver shoeboxes in Ecuador—a witness to the transforming power of the Lord Jesus Christ in his life. 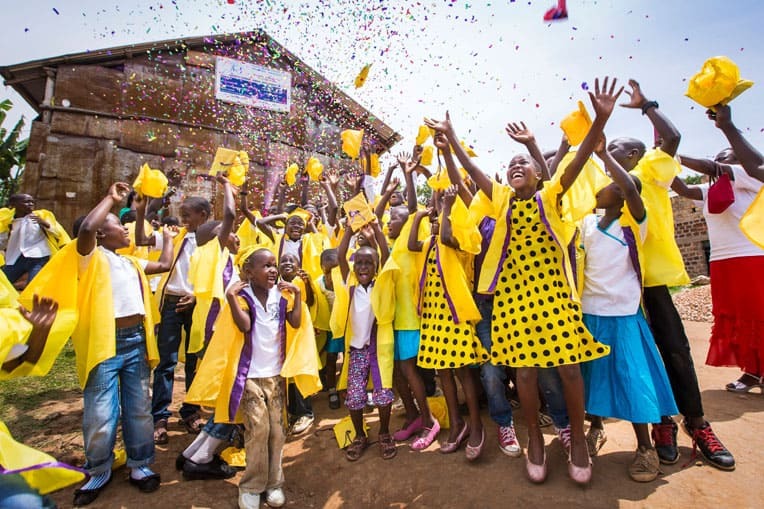 2013 - To celebrate 100 million shoeboxes collected since the project began, we hosted a special celebration in Orlando that drew 10,000 attendees, including volunteers from 102 countries. 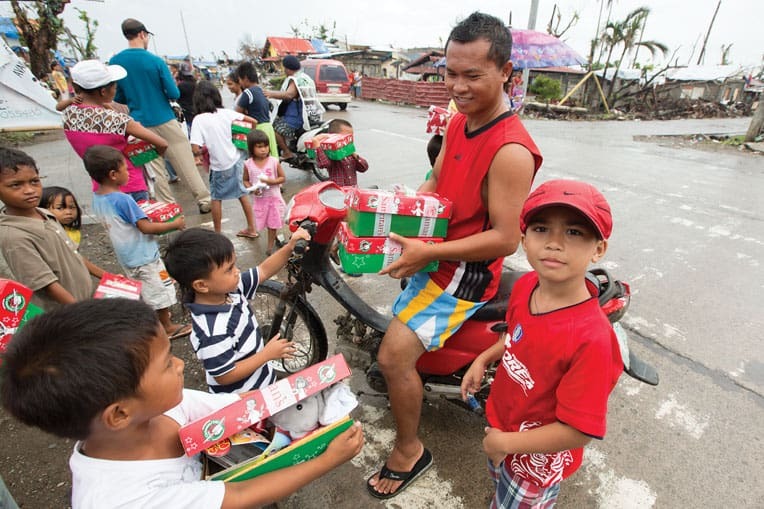 2013 - After Typhoon Haiyan wreaked havoc on the Philippines, Samaritan’s Purse multifaceted emergency response included blessing 65,000 Filipino children with shoebox gifts. 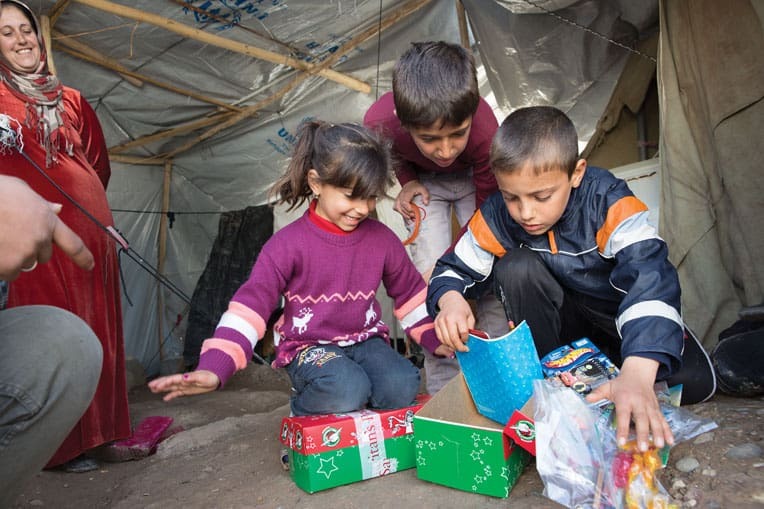 2014 - Samaritan’s Purse sent 60,000 shoebox gifts to children living in northern Iraq. Families who'd escaped the war in Syria experienced God’s unconditional love through the outreach. 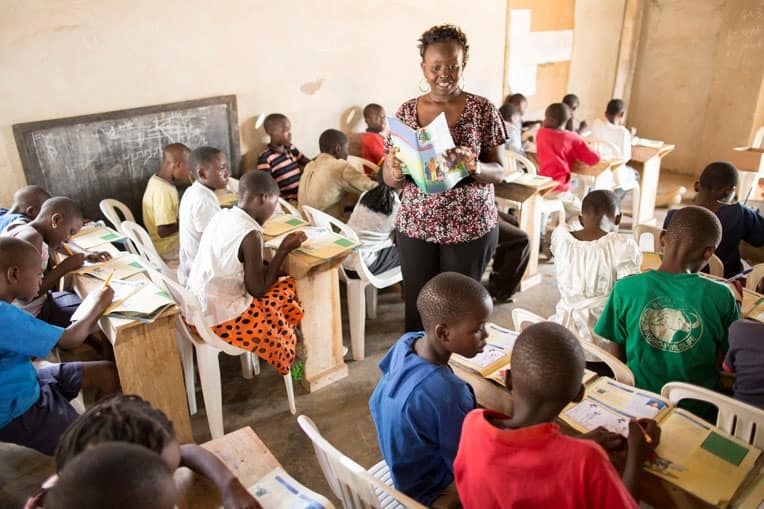 2015 - More than 5 million children graduated from The Greatest Journey in the first five years that we taught the discipleship course for shoebox recipients. 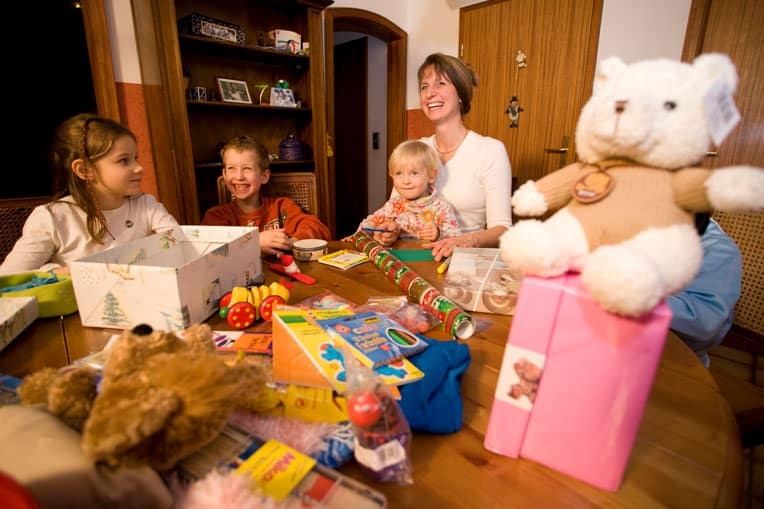 2015 - Samaritan’s Purse delivered shoeboxes to Moldova, one of the poorest countries in Europe. 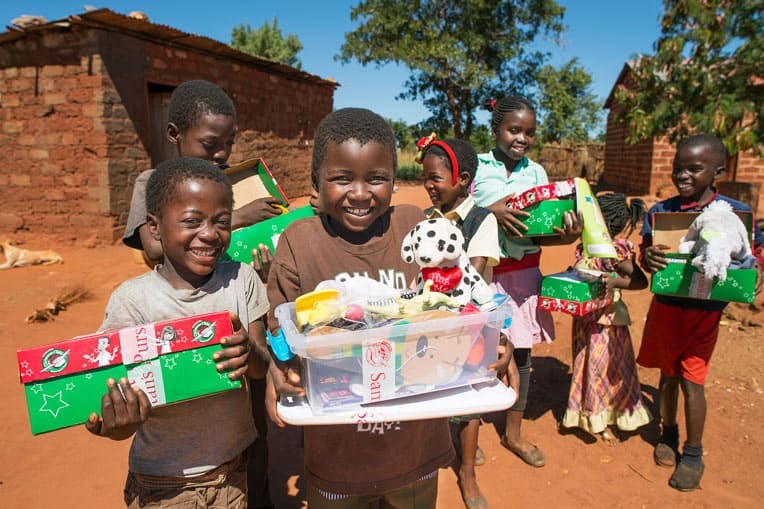 2016 - Gift-filled shoeboxes have brought the hope of Jesus Christ to 3 million children in Zambia. 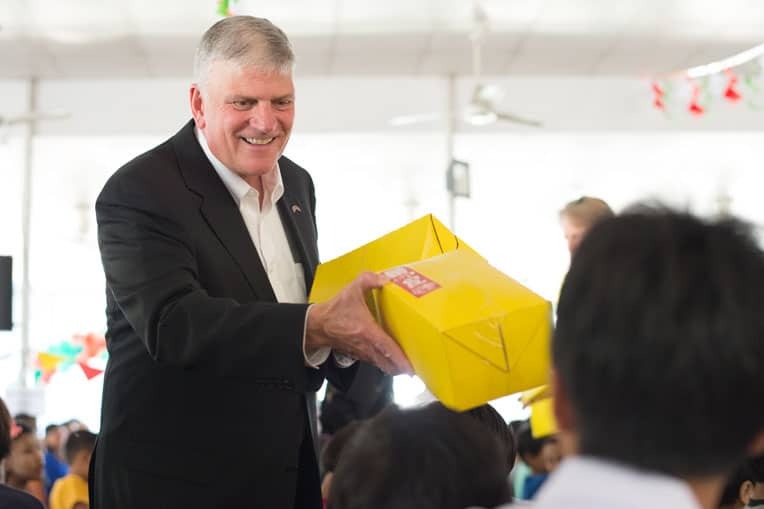 2016 - Franklin Graham distributed some of the 16,000 shoebox gifts given to the children of Myanmar—a new receiving country for Operation Christmas Child. 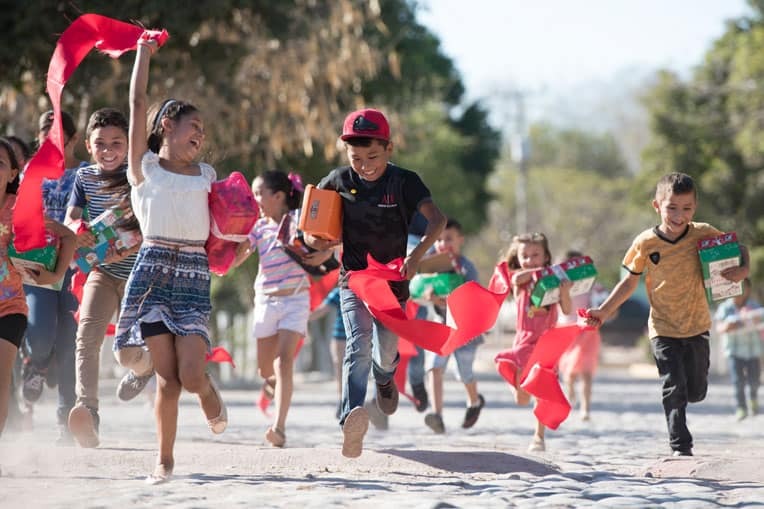 2018 - Children in Mexico are among the 157 million worldwide who have received good news and great joy through a gift-filled shoebox. 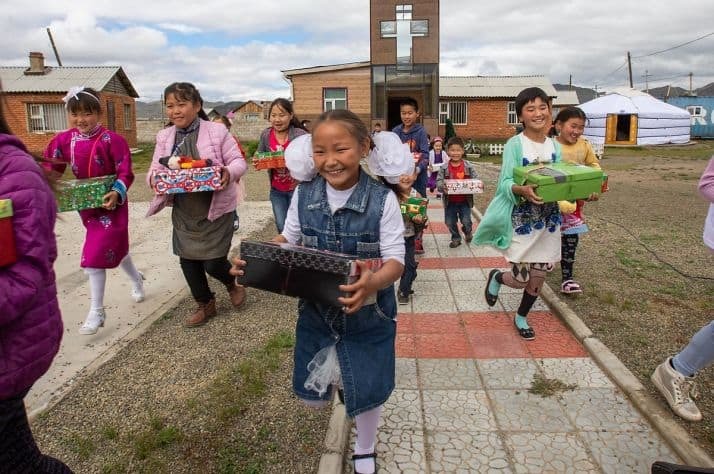 These shoebox gifts are an opportunity to share the Gospel and “declare His glory among the nations, His wonders among all peoples” (Psalm 96:3). One Christmas, an 8-year-old girl named Felisha on the island of Trinidad received a shoebox gift packed with a doll, stationery, colorful socks, and a teddy bear. 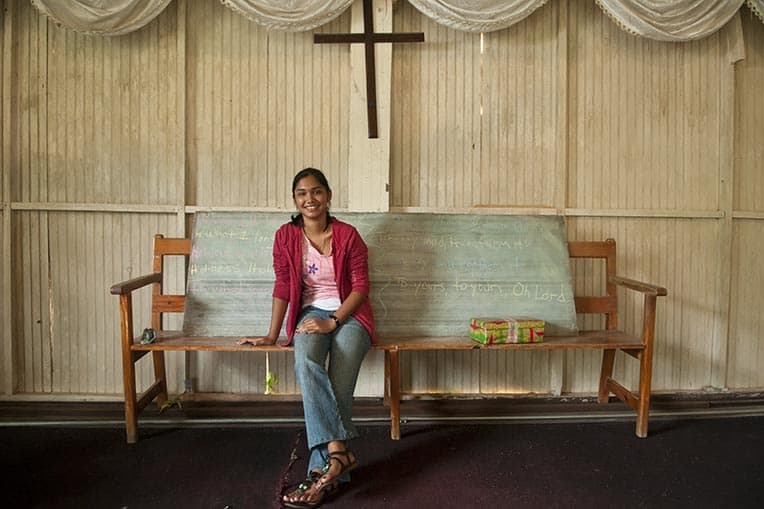 “I didn’t know anything about Jesus because I had never been to church before, so I was really curious,” Felicia said. Felicia (pictured at age 17, now 25) and her entire family accepted Jesus Christ and worked to plant a church in their town. 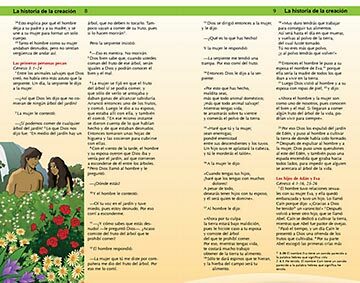 Since then, each member of their family has accepted Christ as their personal Savior. Together, they worked to plant a church in their hometown—aptly named Hardbargain. Felisha is among countless children whose lives have been changed forever through the power of God’s love, demonstrated through simple gifts. During the summer of 1993, Samaritan’s Purse President Franklin Graham received a call from a man in England asking his help on behalf of children in Bosnia who were suffering because of a brutal civil war. 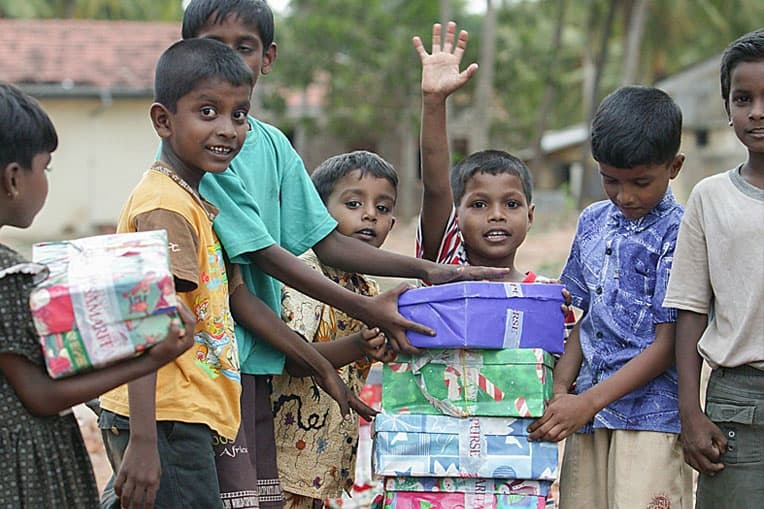 The Englishman specifically asked for shoeboxes filled with gifts to deliver to these little ones at Christmas. Samaritan’s Purse was already working in Bosnia, and Franklin had been there three times in the previous year, so he was eager to help. Christmas, however, seemed a long way off, so he put this request aside. Not long before Thanksgiving, he received a call back from the man in England. 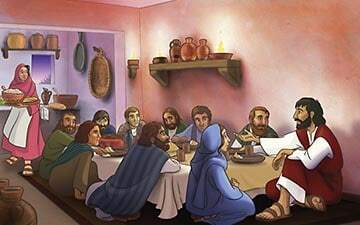 Quickly reminded of his promise, Franklin assured him he was working on it. 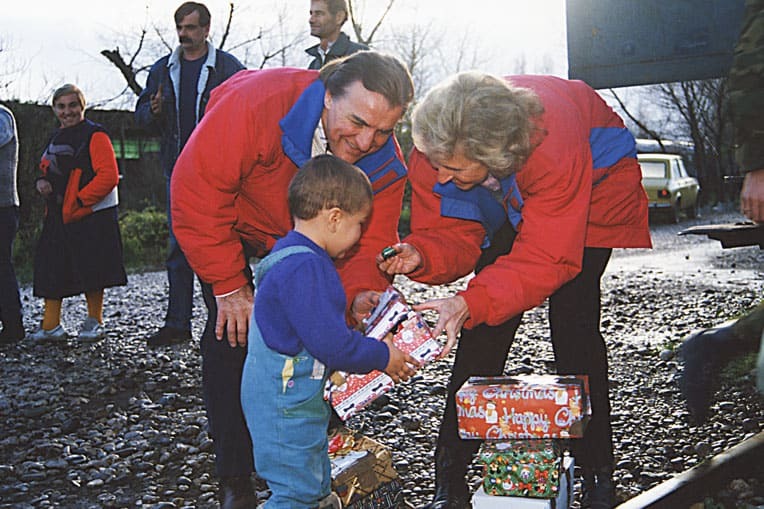 Pastor Ross and Carol Rhoads hand out shoebox gifts to children in Bosnia in 1993. Franklin then called his friend, the late Ross Rhoads, who was serving as senior pastor of Calvary Church in Charlotte, North Carolina. He asked if Ross and his wife Carol could fill a shoebox with items for a child, show it to their congregation, and ask them to do the same—in order to share the true meaning of Christmas with the children of Bosnia. Ross and Carol were eager to assist, and the response was overwhelming. Shortly after Thanksgiving, Ross called Franklin to report that 11,000 shoebox gifts were now lining the hallways of his church! Combining these gifts with more from our Canadian office, Samaritan’s Purse sent 28,000 shoebox gifts to children in Bosnia that Christmas. Ross and Carol Rhoads traveled to the war-torn nation to help us distribute them. Today, through the countless prayers of many and the service of thousands of volunteers around the globe, the project has grown to include eight shoebox-packing countries in addition to the 160 that have received them. Through gift-filled shoeboxes, we are bringing good news and great joy to children in Africa, Asia, Europe, Central America, and South America. 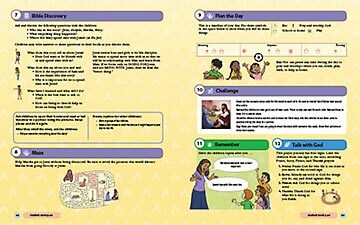 Boys and girls are coming to Christ and leading their families to follow Him, too. Churches are being planted and new generations of evangelists are rising up through The Greatest Journey, our discipleship program just for shoebox recipients. Help us celebrate our 25th year of ministry by packing a shoebox online! 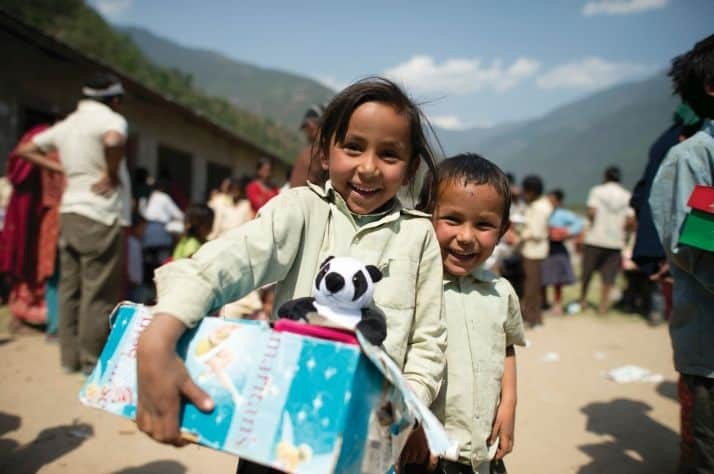 Operation Christmas Child is a hands-on project that brings joy and hope to children in desperate situations around the world through gift-filled shoeboxes packed by Canadians. 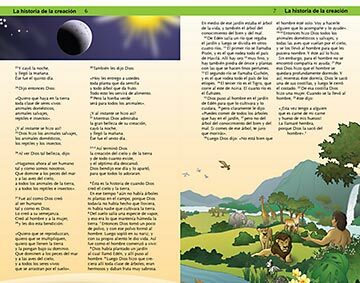 It is one way to remind children suffering as a result of war, poverty, famine, disease, and disaster that they are loved and not forgotten.